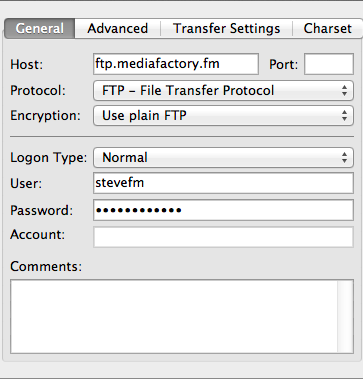 Install an FTP client if you don't have one already (Filezilla, Cyberduck, etc.). The remote directory for Cyberduck will look like the image below. See in the example how vhost 1263 is being used. 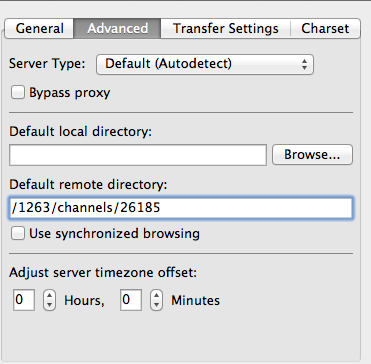 I have specified which channel I want my files to be uploaded into by using the channel ID 26185 in the default remote directory. If you wanted to add files to a group instead, it would look something like this: /1263/groups/429727. If you want your media in the root of your vhost, then you don't need to specify a channel or group. The channel or group can always be set manually in Media Factory at a later date. 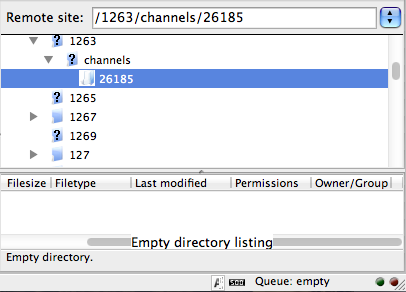 Once you are logged in to Media Factory, you should be able to see the vhost and channels/groups you have access to. From here, you can drag and drop files into the respective folder to be transferred to Media Factory. Below is how this will look in Filezilla. Be the first to comment on FTP into New Spark Media Platform.